Take a factory tour and see how our product, Churaumi Sodachi, is made from seawater collected off Okinawa. You can also take part in making your own salt, a popular program for visitors. An integrated tourism complex offering shopping, dining, and programs with a view of the East China Sea. 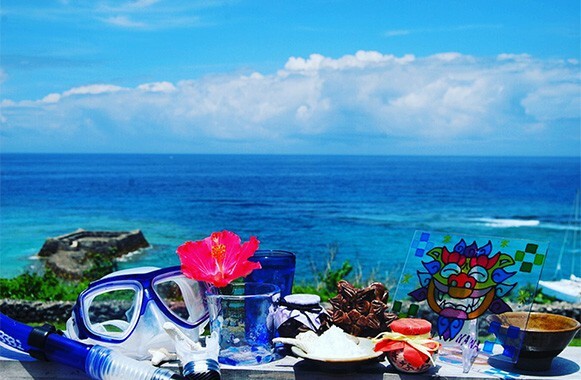 The Salt factory tour and coral reef observation tour at Sango Farm are two of the most popular programs. Salt ice cream and salted rice crackers are delicious staple items of the facility. 30-minute drive from Okinawa South exit of Okinawa Expressway. Disabled Parking availavle for 4 cars.